Terroir, sounds like tare WAHr, is a French word that is used to describe how environmental factors manifest themselves in taste of wine. These factors range from soil pH and makeup, to topography, to climate, to other agricultural products grown nearby, and just about everything in between. Here’s a handy chart courtesy of Wine Folly. 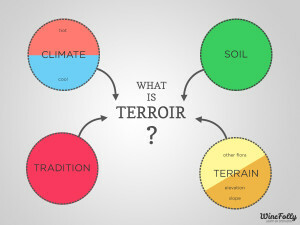 Do check out their page for a more detailed explanation of Terroir. 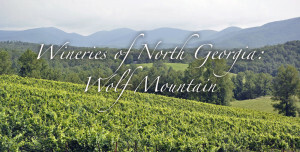 If you want to know what the North Georgia Plateau tastes like, it’s terroir, one needs to look no further than Frogtown Winery. Frogtown aims to produce Terroir-driven wines, letting their unique environment dictate the course. 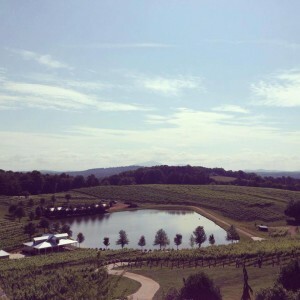 While some Georgia wineries have made standard practice out of supplementing up to 25% of their wines with California-grown wine concentrate, Frogtown uses 100% Georgia-grown grapes in their wines, unless otherwise specified. Frogtown believes that Georgia-grown grapes can hold their own against Sonoma and Napa Valley products, and they’ve got the medals to prove it. In 2010, 2011, and 2012 Frogtown took home gold and platinum medals at major California wine competitions. Letting the environment run the show isn’t without it’s stresses. This year Dahlonega experienced one of the worst droughts in recorded history. At first glance a significant drought seems detrimental to the harvests, and thus to the wine. However, winemaker Craig gives us the good news about the drought, “The good news is the quality of the red wine grapes. 2016 will prove to be one of the best vintages ever at Frogtown Dahlonega for red wines. Dark, concentrated fruit caused, in large part, by the drought.” When producing terroir-driven wines, it’s good to have a high tolerance for uncertainties (i.e. Georgia’s fickle weather patterns). If you want to get a taste for Frogtown, some favorites include their Norton, Merlot, and Sauvignon Blanc. Norton is a unique grape. It’s the only red grape native to the US. They describe this wine as having, “Big, berry flavors of ripe red fruit, coupled with loads of mouth-watering acid and super rich finish.” Their Merlot is a classic Merlot with berry flavors from the grapes and vanilla and tannin from the oak with that unmistakable Frogtown terroir. Their Sauvignon Blanc is reminiscent of the Sauvignon Blancs of New Zealand, boasting bold citrus/grapefruit and floral aromas. If you like sweeter wines, it doesn’t get more classically Southern than their Muscadine wines. The muscadines for these wines are actually grown at Frogtown’s vineyard in Hahira, just north of Valdosta. While Frogtown’s terroir-driven wines make them stand out in the crowd, so too does their setting. Their elegant but relaxed tasting rooms features floor-to-ceiling windows overlooking their 44 acres of vines and the mountains beyond. Their massive deck, which seems to have as much square footage as the tasting room itself, is undoubtedly one of the best places to sip and/or dine in the area. 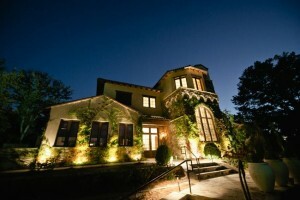 Consequently, Frogtown is one of the most desirable wedding venues in the area. If you’re looking to get married there, you had better call at least a year in advance. Frogtown Cellars is definitely a favorite winery in North Georgia and shouldn’t be missed. It is located just 15 minutes from downtown, just down the street from Kaya Vineyards and Three Sisters Winery, among others. If you’re planning a visit to Dahlonega, plan to stay at the Lodge and purchase a winery tour or winery lunch and tasting package. 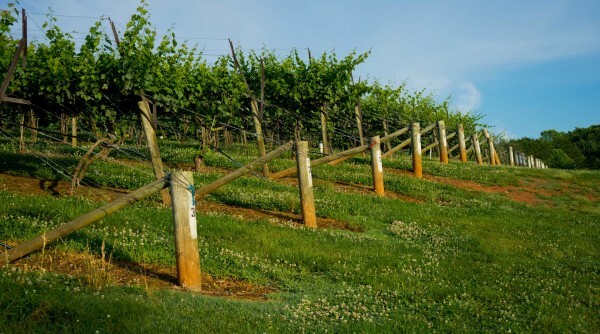 Letting us handle your accommodations and, most importantly, transportation is the best and safest way to experience Dahlonega’s rich wine culture. So, give us a call and book today or book online.